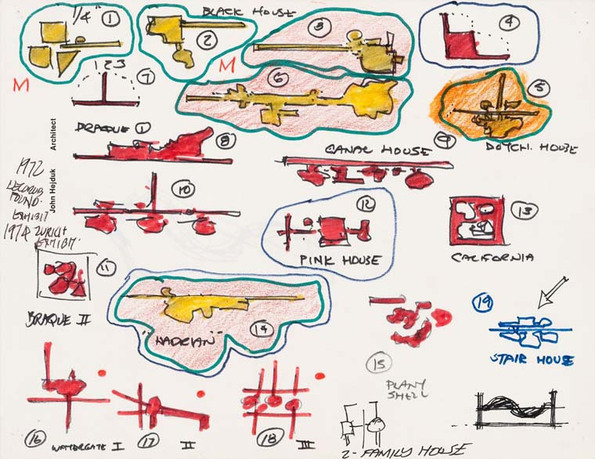 Architecture Itself and Other Postmodernist Myths brings together an array of building fragments, drawings, models, and primary source documents to present canonic projects from an unexpected and unfamiliar point of view. The exhibition challenges the typical narrative of the heroic architect by revealing a counter-reading of postmodern procedures. The purpose is simultaneously to deflate the postmodern mythologizing of the architect and inflate the importance of empirically describable architectural activity. In so doing, the exhibition will make original contributions both to a counter-historiography of the postmodern and to contemporary curatorial method. A broad selection of material evidence—gathered from building sites, libraries, and archives—supports accounts of architects’ and architecture’s entanglements with bureaucracy, the art market, and academic and private institutions as postmodernization challenged the discipline to redefine its modes of practice and reconsider the very idea of architecture itself. 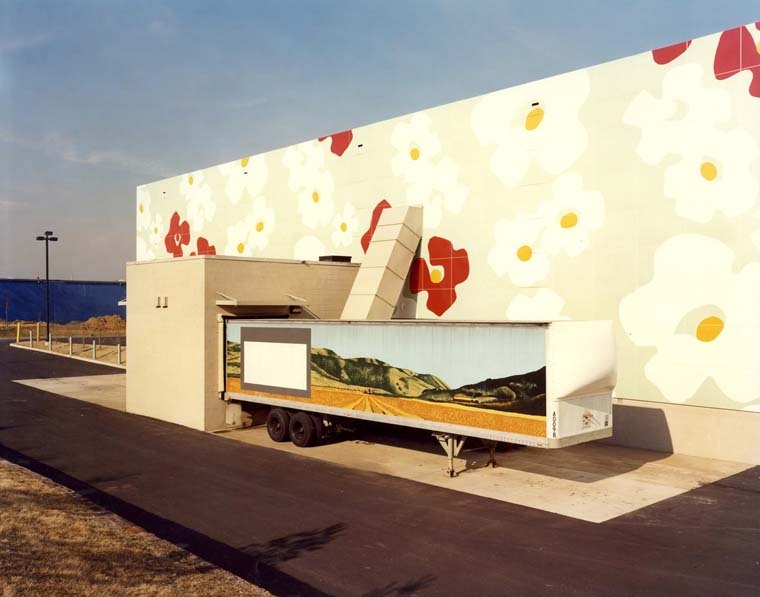 Sylvia Lavin received her PhD in 1990 from Columbia University’s Department of Art and Archaeology following Getty Center, Kress Foundation, and Social Science Research Council fellowships. Her books include Quatremère de Quincy and the Invention of a Modern Language of Architecture (MIT Press, 1992), Form Follows Libido: Architecture and Richard Neutra in a Psychoanalytic Culture (MIT, 2005), Kissing Architecture (Princeton University Press, 2011), and Flash in the Pan (Architectural Association, 2015). Everything Loose Will Land, an exhibition of 1970s LA architecture in LA, was part of the Pacific Standard Time series supported by the Getty Foundation; her Take Note was at the CCA (2010) focusing on pivotal moments in the relationship between writing and architecture over the most recent 50 years. As professor and director of critical studies in UCLA’s Department of Architecture and Urban Design, she directs The Curatorial Project and is a recipient of an Arts and Letters Award in Architecture from the American Academy of Arts and Letters. Erin Besler and Ian Besler, exhibtion designers, are cofounders of Besler & Sons, LLC, an office based in New Jersey and New York that works on buildings, objects, videos, software, and interiors to expand the definition of architecture. They were recent finalists for MoMA PS1’s Young Architect’s Program; also participants in the Chicago Architecture Biennial and Shenzhen & Hong Kong Bi-City Biennial of Architecture. Their design work has been included in more than forty public installations and exhibitions internationally. Alongside their practice, they pursue design research through writing and teaching, with publications and journals including FutureAnterior, Perspecta, Log, San Rocco, Project Journal, and Pidgin. 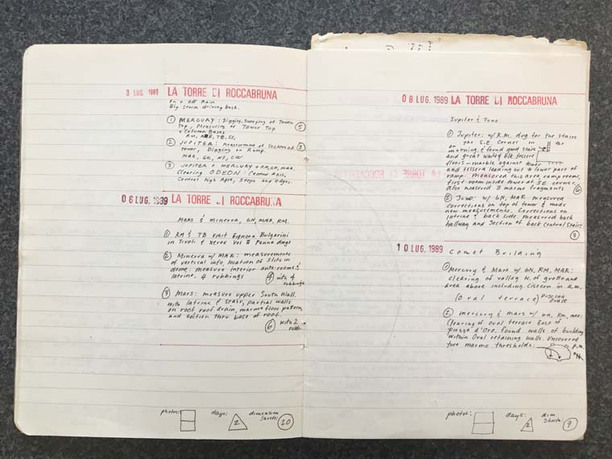 Sarah Hearne, exhibition assistant curator, is a PhD candidate at UCLA completing a dissertation examining tools and procedures of architectural image-making in the 1970s. She has worked with Sylvia Lavin on projects including The Artless Drawing (2010), Everything Loose Will Land (2013), and The Duck and the Document (2017). She was an associate curator on the 2017 Chicago Architecture Biennial with Johnston Marklee and coedited the corresponding catalogue, Make New History, published by Lars Müller. Her independent work includes an exhibition and symposium on information management and display in contemporary architectural research at University of Technology Gallery in Sydney, where she taught in the Architecture School. Chad Kloepfer, exhibition graphic designer, is based in Cambridge, Massachusetts. He studied at the Minneapolis College of Art and Design, and has since worked as the senior designer at the Walker Art Center for seven years, and served as the art director of Artforum magazine for four years. In 2010, he cofounded the studio Kloepfer-Ramsey with Jeff Ramsey; and in 2013, Hyo Kwon joined, making it Kloepfer-Ramsey-Kwon. The studio closed in early 2015 and he currently works independently on projects of varying scales and complexities; including the design of visual identities, books and other printed matter, exhibitions, signage systems, and websites. Giovanna Borasi, CCA chief curator since 2014, first joined the CCA in 2005 as curator for contemporary architecture. Her exhibitions and books explore contemporary issues; reflect her interest in alternative ways of practicing architecture; and address how environmental, political, and social issues influence today’s built environment. Educated in architecture, she has worked as a writer and editor in addition to her curatorial activities, starting out as an editor and writer for Lotus International (1998–2005), as assistant editor for the book series Quaderni di Lotus (1999), and on the editorial staff of the graphic design magazine Lettera (2000)—a supplement to Abitare, where she was deputy editor in chief (2011–13). Francesco Garutti has been curator of contemporary architecture at the CCA since April 2017. He was formerly art and architecture editor at Abitare magazine (2011–13) and worked as an architect and researcher for Peter Zumthor Architekturbüro between 2007 and 2008. Using art and architecture to activate cross-disciplinary research, Garutti has developed projects such as Elegantia at Triennale di Milano (2016); War Games (2016) at Villa Croce Contemporary Art Museum Genoa; and, as Emerging Curator at the CCA in 2013–14, the Misleading Innocence project—a curatorial and editorial investigation of the relationship between architecture, technology, and politics. Albert Ferré, associate director of publications, joined the CCA in 2012 to help shape the institution’s editorial voice and expand its international presence. Through its website, electronic publications, and books, the CCA publishing program brings forward content generated by the CCA’s research and curatorial activity. Ferré was trained as an architect and held numerous editorial positions before joining the CCA—including with the magazine Quaderns, the Prince Claus Fund, and Actar Publishers, where he directed the architecture program and edited numerous publications, including the Verb Boogazine series. The Canadian Centre for Architecture (CCA) is an international research institution operating from the fundamental premise that architecture is a public concern. 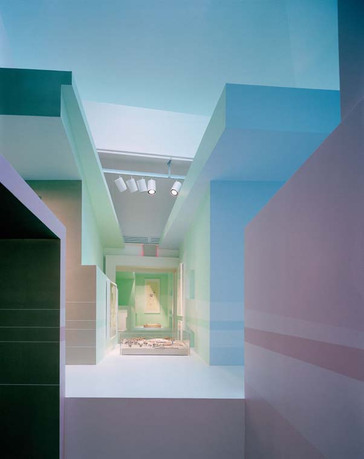 It was founded in 1979 by Phyllis Lambert as a new type of cultural institution, with the specific aim of increasing public awareness of the role of architecture in contemporary society and promoting research in the field. We produce exhibitions, publications, and a range of activities driven by a curiosity about how architecture shapes—and might reshape—contemporary life. We invite architects, scholars, and the wider public to engage with our collection, deepening our understanding of the past and giving new relevance to architectural thinking in light of current disciplinary and cultural issues.